As you know I am a Kinder Ice Cream Ambassador for the summer. 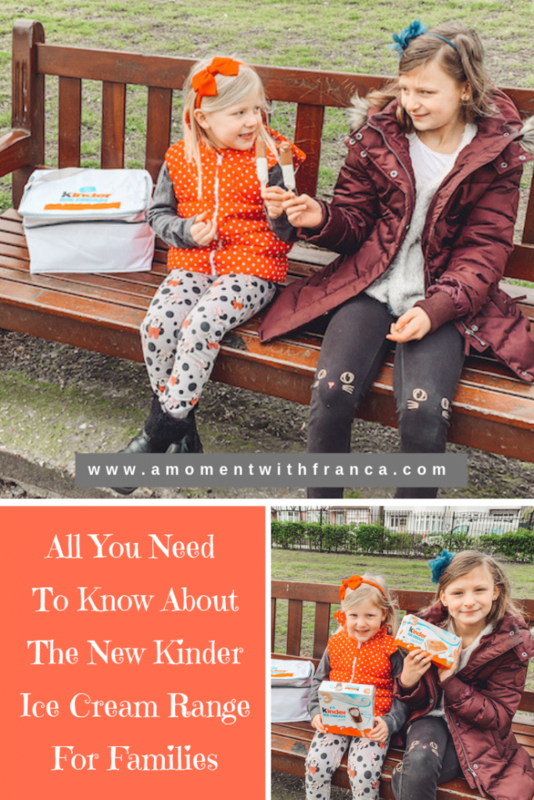 I have been sharing the new Kinder Ice Creams on my socials and introduced them to all my readers earlier this month. It was so much fun to go to the launch event at the Observation Point a few weeks back. 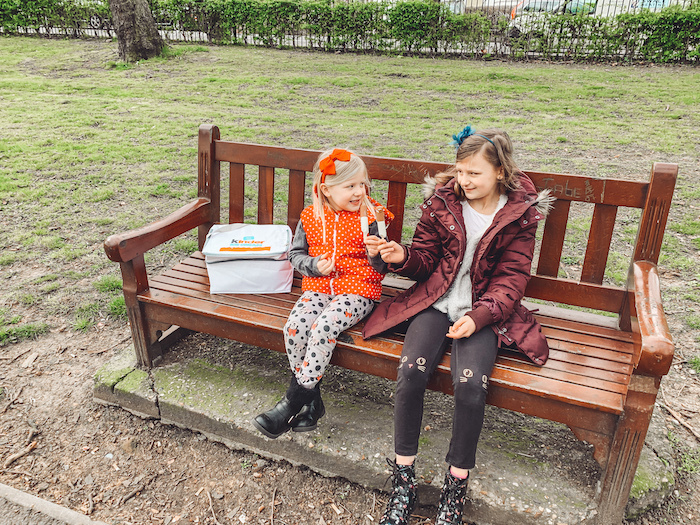 I loved getting to try the ice creams before they launched in stores ready for the summer. 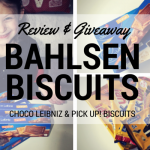 I really enjoyed trying them out and couldn’t wait for my girls to try them too. 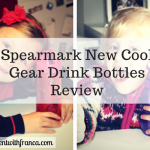 I love that they come in smaller sizes which are perfect for kids. This means you know they won’t be eating too much at once. 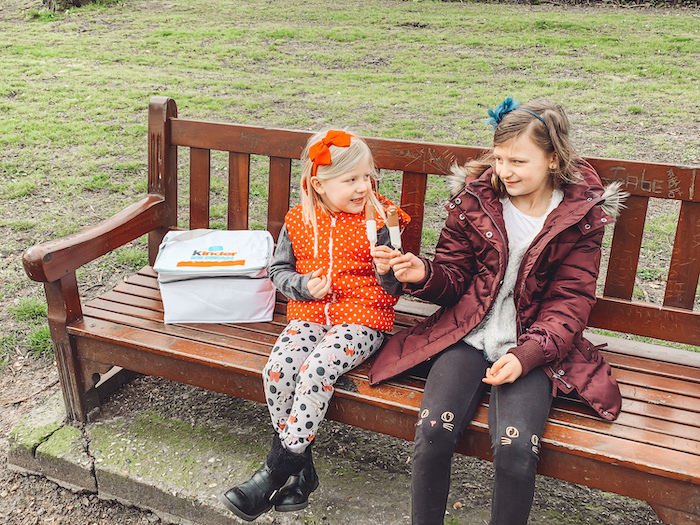 All ice creams are under 100 calories too and come with the Wall’s ‘Responsibly Made for Kids’ logo. 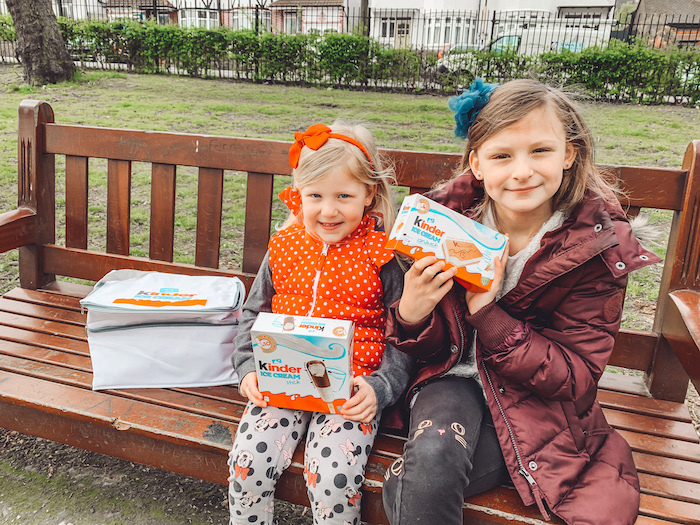 This means they have been formulated to meet their set nutritional criteria for calories, saturated fat and sugar as part of the Unilever Sustainable Living Plan – meaning that no kids ice creams will contain more than <110kcal and <3g saturated fat per single serving and <20g added sugar per 100g. This is definitely a good thing when it comes to making sure we give our kids a balanced diet. 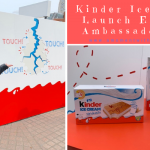 Another great thing about the new Kinder ice creams is that the ice cream is made with fresh milk ice cream and the biscuit of the Kinder Ice Cream Sandwich is made with five kinds of cereal. The biscuits include gently milled flakes of wheat, oats, barley, rye and rice. The girls really like them. 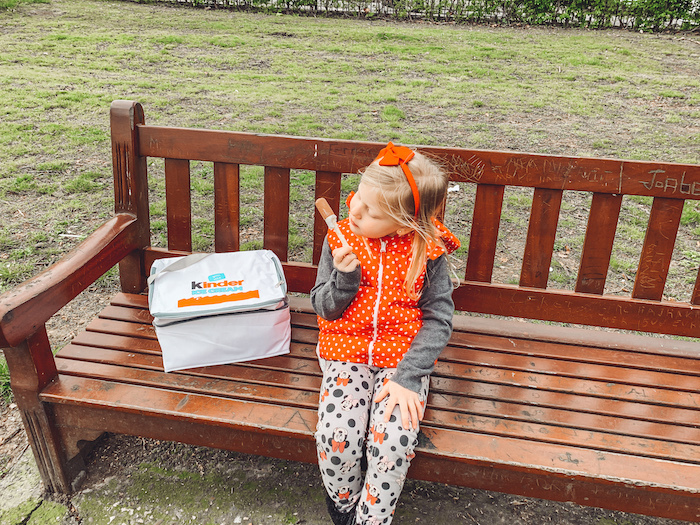 They come in small portion sizes which is perfect for little hands as well as the perfect amount for them. They tried the ice cream sandwich and ice cream stick. 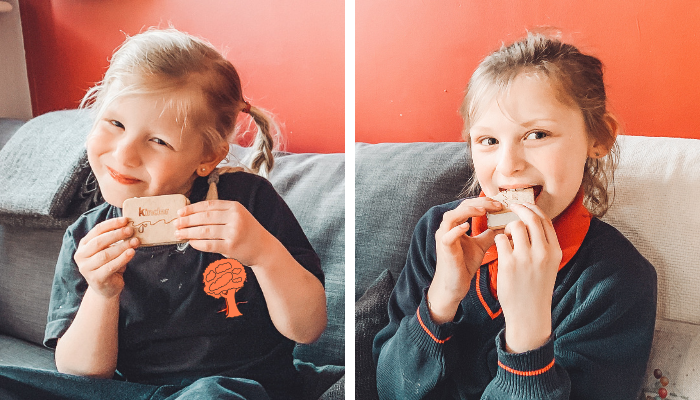 After trying them for a little while, Bella decided she likes the ice cream sandwich more and Sienna prefers the ice cream stick. I personally like them both equally. The chocolate that you get in the stick is very tasty and the same yummy chocolate that you find in Kinder eggs. I love it. Nick also likes them both too. The milk ice cream is delicious and you can tell it is very fresh. They are now available in the freezer aisles at retailers across the country! Next time you are doing your supermarket shopping have a look in the freezer section and pick up your box. If you do try them, come back and leave me a comment down below. 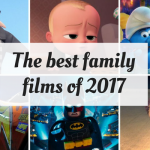 I would love to know what you think and which one you and your family liked the most. 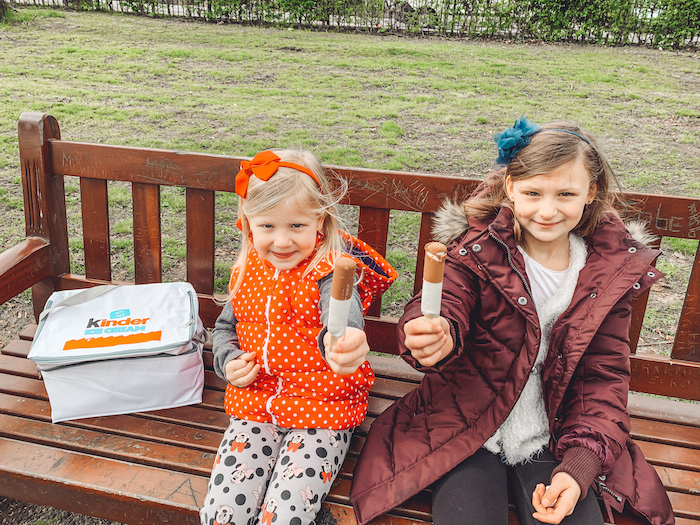 Have you tried the new Kinder Ice Cream range yet? 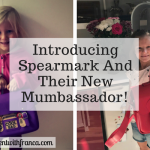 Read what Mumsnetters think HERE. *Disclosure: This is a sponsored post. 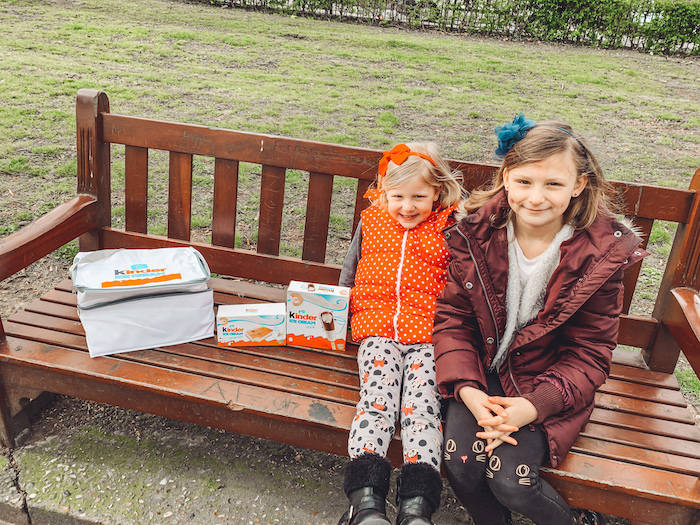 I’m working with Unilever and Mumsnet as an Ambassador of their new Kinder Ice Creams that have been recently launched in the UK. The ice cream sandwiches sound really yummy!